Your skin has been worn out beause of sun and other external factors after long summer. Your skin becomes vulnerable to all effects with the arrival of autumn cool weather. You should prepare your skin for winter hard and tiring, and you do need necessity skin care applications. You should moisturize, nourish and clean your skin to prepare your skin for winter during autumn. Your skin which will compete cold weather condition along the winter, will dry because of the cold wind and other weather conditions and this situation can bring in unwanted problems. You can easily prepare your skin for winter by skin care applications which we suggest. How Is Skin Care Done In Autumn? First of all, you need to moisturize your skin and steam bath is one of the most common moisturizer application. Steam bath applications which soften pores and remove of blackheads and impurities at the same time from your skin. Also it makes your skin to breathe and makes it easier and moistures if you add mint leaves. Clay mask recipes will allow you to apply your skin get rid of dead skin once in 2 weeks. You need to clean your skin with warming waters instead of boiled water in hard cold days. You should wash with water which is less mineral point of view. You need to continue regular skin care treatments to protect against strong winds. Your skin might dry during these months. 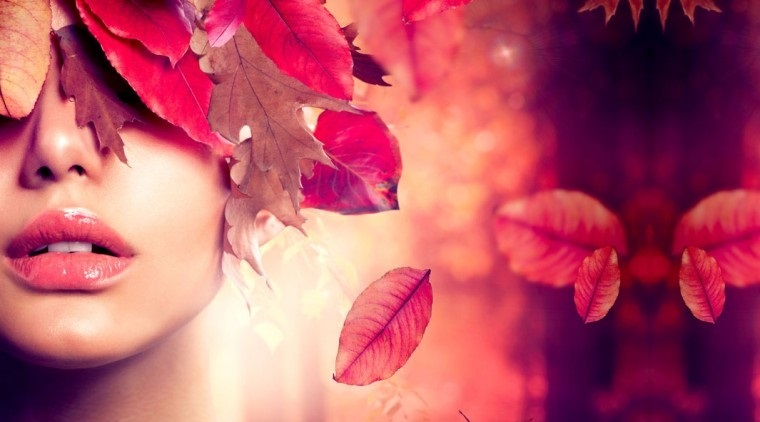 Your skin could be vulnerable in autumn after summer. Your skin is more disrupted and begins to dry with the cold weather. You need to pay more attention to your skin in the fall with the transition to the winter cold. Dirty air from the wind fills the open pores of the skin. Therefore skin problems start to occur immediately. Applying moisturizing creams which are shield for your skin during this period, is very very important. Because eczema, itching and flaking skin problems are very common during this period. Take out kernels from apricots, put in a clean bowl. Then add other materials into apricots and mix well all of them with a fork . Apply this mask to your skin and wait 20 minutes. Then clean your skin. You can repeat once per a week. Your skin will regain lost moisture. Grind rice till being flour. Then add other materials into rice flour and mix them until creamy consistency. Apply to your skin in a thin layer by circular motion and allow to dry persistent. You can clean your mask after your mask dry on your skin. You will have a brighter and more vibrant looking skin when applied regularly once in a week. My skin is so dry in the fall and winter months. Both of these masks would be great to add to my skincare routine! I am very glad to hear that this recipe works on your skin. I am glad to hear this and you are wellcome for comment. I’ve always wanted to try a clay mask! Perfect in that case. Let’s try. Even though I have oily skin, my skin gets really dry in colder months. So I need to look for hydrating products, which will help my skin stay hydrated throughout the day. I haven’t tired any of these mask recipes, clay mask sounds interesting.